Fast. Puristic. Emotive. 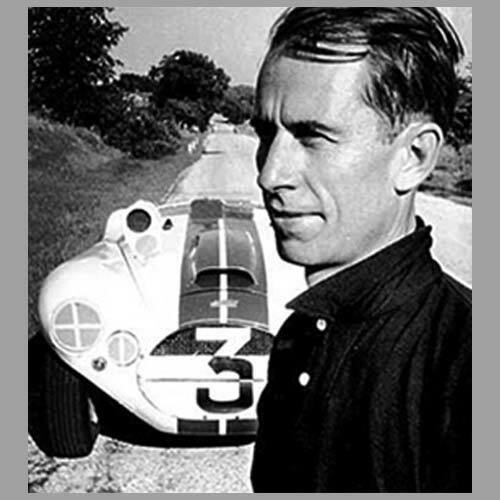 For the past 70 years, the Porsche brand has been synonymous with sports car construction at the very highest level. The company begins its anniversary year with a New Year Reception. The first vehicle to bear the Porsche name was registered on June 8, 1948: It was the 356 “No.1” Roadster. This is the day on which the Porsche brand was born. The Type 356 turned Ferry Porsche’s dream of a sports car into a reality. “His vision at that time embodied all of the values that still define the brand to this day”, said Oliver Blume, Chairman of the Executive Board of Porsche AG, at the New Year Reception at the Porsche Museum. Representatives from the state of Baden-Württemberg as well as from the city of Stuttgart and the worlds of politics, economics and society, joined Porsche to celebrate the beginning of its anniversary year with the slogan “70 years of the Porsche sports car”. The future of Porsche sports cars is already coming up to the starting line in the form of the Mission E, the first purely electrically driven technology champion from Zuffenhausen. This concept vehicle combines the distinctive emotional design of a Porsche, exceptional driving performance and forward-thinking everyday functionality. The four-door model with four individual seats delivers a system performance of over 440 kW (600 hp) and a range of more than 500 km, acceleration from 0 to 100 km/h in less than 3.5 seconds and a charging time of around 15 minutes for 80 per cent of the electrical energy required. Porsche has invested around one billion euro in this futuristic project, creating more than 1,200 additional jobs just at the headquarters in Stuttgart-Zuffenhausen, where the Mission E will be built. “Porsche will always be Porsche – the leading brand for exclusive, sporty mobility”, reinforces Blume. Porsche is celebrating this year’s anniversary with numerous activities around the world. On February 3 “The Porsche Effect” opened at the Petersen Automotive Museum in Los Angeles. In Germany, the first “70 years of the Porsche sports car” exhibition will open from March 20–31, at “DRIVE, the Volkswagen Group Forum” in Berlin. The Porsche Museum will also be holding its own anniversary celebrations with a comprehensive special exhibition opening on June 9. On the same day, Porsche will be inviting sports car fans to its “Sports Car Together Day” at all of its sites around the world. For the weekend of June 16–17, the sports car manufacturer will host employees, residents of the Zuffenhausen district and prospective customers to a public celebration in and around the Porsche Museum in Stuttgart. The “Festival of Speed” held from July 12–15, at the Goodwood race track in the UK will also celebrate the anniversary, as will the “Rennsport Reunion” in California from September 27–30. The celebrations will conclude with the “Sound Night” event to be held for the first time in the Porsche Arena in Stuttgart on October 13. Further information is available at https://www.porsche.com/museum/en/. 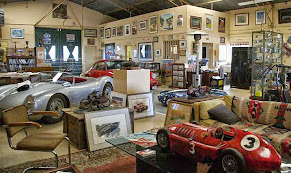 We here at l’art et l’automobile are virtual connoisseurs of Porsche artwork and automobilia, having collected and curated hundreds if not thousands of items and artifacts celebrating the Porsche name and legacy over the years. We even have two very fine examples of Ferry and company’s work in the Gallery and we love them. In fact, we have just managed to obtain a large and highly valuable collection of original Porche Factory Posters that we are making available to you. Come read about them here, and of course we encourage you to tour the gallery. Bravo Porsche, here's to the next 70 years! Steve McQueen tried to buy the '68 Mustang from Bullitt – Twice! It is one of the most famous cars in cinema history, up there with Michael Caine's Mini Cooper from The Italian Job and Michael J Fox's DeLorean from Back to the Future. Steve McQueen may have had top billing in the 1968 thriller Bullitt, but the real star of the film was the green Ford Mustang GT fastbacks he drove in the movie's famous chase scene. That Mustang was displayed at the North American International Auto Show in Detroit, alongside a letter from the actor himself which reveals his unsuccessful battle to buy the famous car. In 1977, three years before his death at the age of 50, McQueen wrote to the car's owner Robert Kiernan, a New Jersey resident who had bought it for $6,000 in 1974, after seeing it advertised in a magazine. McQueen had tried to buy the car from its previous owner, but it slipped through his grasp. His curt four-sentence letter to Kiernan begins "Again, I would like to appeal to you", suggesting it wasn't the first time the actor had been in touch. Again, I would like to appeal to you to get back my '68 Mustang. I would like very much to keep it in the family in its original condition as it was used in the film, rather than have it restored; which is simply personal with me. I would be happy to try to find you another Mustang similar to the one you have, if there is not too much monies involved in it. Otherwise, we had better forget it. Kiernan was evidently not won over by this approach: he never replied. Instead, he kept the car, which his schoolteacher wife used to drive to work. In 1980, the car's clutch broke, and for the next three decades it mouldered unused in a garage. He had attempted to repair the car with his son Sean, but died in 2014 with the work still incomplete. Robert Kiernan and his family shied away from publicity, and over the years the car's ownership became the subject of rumour and uncertainty; Chad McQueen, the actor's son, last year launched a website called FindingBullitt.com calling for information about the whereabouts of the cars used in the film. The car has been described by Ford as the "holy grail" of Mustangs. Now Sean Kiernan, working with Ford, has repaired the iconic car and put it back in the limelight once more, alongside the company's new third-generation Bullitt Edition Mustang. "You know, it was never our intention to keep this car a secret from everybody," Kiernan said at a press conference for the Detroit auto show. "It just kind of happened with life. I’m just completely buzzing to join with Ford and the new Bullitt and show this car to the world on one of the biggest stages there is." Classic car expert Kevin Marti has described it as "an incredible artifact", telling car insurers Hagerty that "98 per cent of the original car is there." Remarkably, it is not the only Bullitt Mustang to have emerged in the last year. Kiernan's car was one of two Mustangs used in the film's climactic chase; the other, which bore the brunt of damage from the stunt scenes, was written off as scrap – but was rediscovered last year in a Mexican junkyard. Here at l’art et l’automobile we are avid movie buffs, especially when those movies feature Green 1968 Ford Mustang GTs or the venerable Steve McQueen. But even more so, we appreciate the fine art and nostalgic memorabilia these films create and celebrate. That’s why we make it a point to collect and curate Iconic Film Artifacts and deliver them to you, so that maybe you can add that perfect Steve McQueen Piece to your Collection. Here is our collection of Steve McQueen memorabilia, and please feel free to browse the gallery and take a piece home with you. John Cooper Fitch was born in Indianapolis in August of 1917. 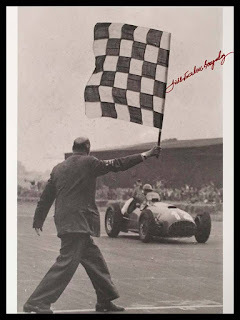 He was a descendent of the inventor of the steamboat, John Fitch, and his stepfather was an executive with the Stutz Motor Company, which introduced him to cars and racing at an early age. In 1939, he travelled to Europe and saw the last car race at Brooklands before the outbreak of World War II. During the war he flew fighter planes for the Allies, including the A-20 Havoc and the P-51 Mustang, becoming one of the only pilots to shoot down the deadly Messerschmidt ME 262 Jet Fighter. This event gave John a chance at something bigger. John convinced Mercedes team chief engineer Rudi Uhlenhaut to allow him to take several Mercedes 300 SLs to the upcoming Carrera Panamericana, a race that wasn't even on Neubauer's radar. His performance during the race secured him a spot on the Mercedes team, driving with the likes of Juan Manuel Faigio and Stirling Moss. John proceeded to compete successfully in many notable races for these teams, including several seasons of both the 24 Hours of Le Mans and 12 Hours of Sebring, and other races like the Mille Miglia in 1953 and 1955, and the RAC Tourists Trophy in 1955, as well as the ’53 and ’55 Seasons of Formula One. 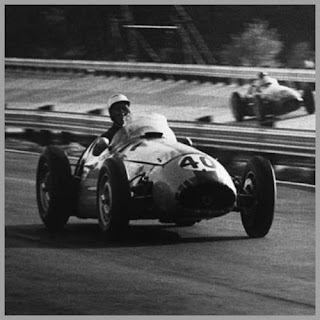 But John’s racing career didn't end there, because at the end of 1955, Chevrolet's Chief Engineer, Ed Cole suggested that he help develop the Corvette into a world-class race car and manage a team of Corvettes he planned to enter at Sebring, just six weeks away. Many thought that it would be impossible to make the slow, overweight production two-seaters competitive in such a short amount of time, but in typical fashion, John rose to the occasion. Four cars were entered in two different classes but against overwhelming odds, the team won both classes, earning them the team prize and setting the foundation for the Corvette Racing Team that still performs to this day. After a horrific accident during Le Mans, that led to the death of his team mate Pierre Levegh, as well as over 80 spectators, John devoted a great deal of effort to the task of increasing the safety of motorsports and driving in general, resulting in the foundation of his company, Impact Attenuation Inc. He became a pioneer in improving race car and street driving safety, and went on to make several racing and highway safety innovations, most notable including the Fitch Barrier System, those yellow barrels you see everywhere on the highway. In typical fashion, John insisted on testing the system himself, and since first being introduced in the late 1960s, it is estimated that they have saved as many as 17,000 lives. John also personally designed five different cars during his life, including the Chevrolet Corvair Sprint and the Fitch Pheonix, a Corvair-based two-seat sports car resembling a Corvette. John retired from racing in 1964 to his home in Connecticut, where he lived with his wife Elizabeth and their three sons, John, Christopher (Kip) and Stephen. John continued to drive in vintage racing events, particularly at Lime Rock Park, and even returned to racing at 87 years of age, trying to set a land speed record in a 50-year-old Mercedes-Benz 300 SL owned by Bob Sirna at the Bonneville Salt Flats. John was the definition of an Auto Enthusiast and I was Lucky enough to spend time with him, both professionally and as friends. Unfortunately we lost this shining star to Cancer in 2012, but his spirit will live on in the hearts and memories of those who new him and followed his career with fondness. On numerous occasions he displayed his great admiration of Cars and Motorsports and always maintained a jubilant attitude with family and friends, and towards life in general. I am sure that he influenced many people who looked up to him and I will always remember him fondly.